Memphis sits high up on a hill overlooking the Mississippi River. Historically it has always played an important role in trade on the river and that continues today, although tourism now plays a big role as well. Home to musical greats like WC Handy, BB King and Elvis Presley, there is also plenty of music in the air. We got into Memphis in time for lunch which we enjoyed at the Rock and Roll Café. While some of us enjoyed a good sandwich or salad, some people jumped right in with a fried banana and peanut butter sandwich (Elvis’ favorite! ), or even a Hunka Hunka Burnin’ Burger. After lunch we went for our included tour of Elvis’ Graceland. 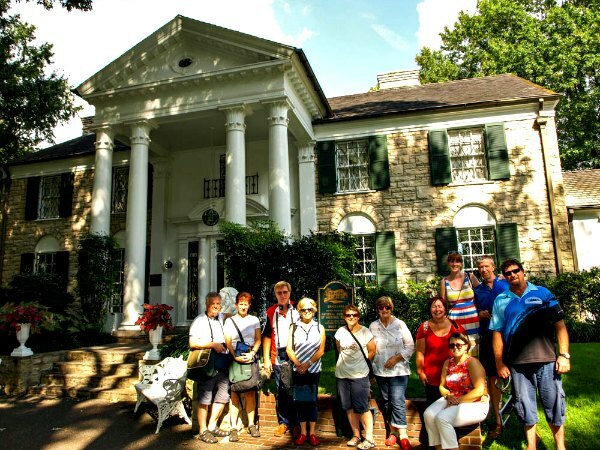 Elvis bought this stately home at the age of 22 and lived there until his death in 1977. The fabulous multi-media tour took us through the whole home, the carport, and two museums on the property. It ends at Elvis’ gravesite on the side of the house. We all enjoyed this peak into the life of Elvis Presley, a man who was simply larger than life. Of course Elvis may have never grown up to be the star that he was had he not gotten a break by Sam Phillips who ran the infamous Sun Studios on Union Avenue. Any music lover must make a pilgrimage to this revered landmark. The tour here really gave us a look into the history of the place where rock and roll was born. After all this musical background, we were ready for some real live Memphis music. 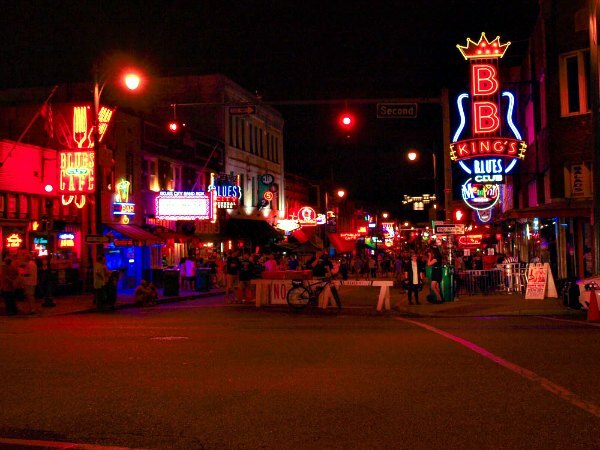 Thankfully all of our musical tastes could be satisfied with a walk down fabulous Beale Street. Once the center of African American life in Memphis, it is now an amazing entertainment district. No matter whether you want to hear blues, country, rockabilly or good old rock and roll, there is a place for you on Beale Street. 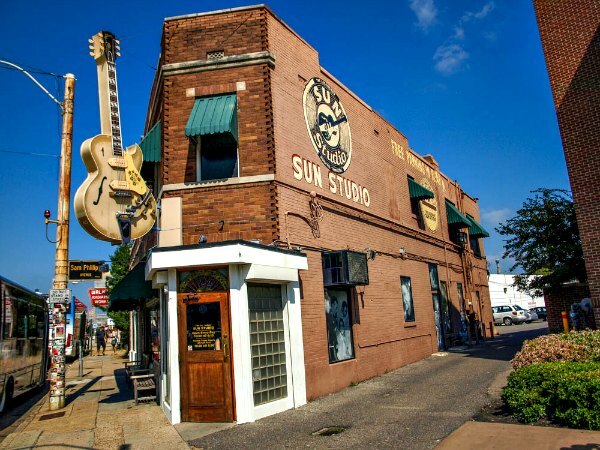 Our Deep South & Delta Blues tour visits the musical wonderland that is Memphis and give you ample time to embrace the cities colourful past. Author: Russell Grange - I’ve been leading tours for Grand American Adventures for three years now, after growing up all around Western America in places such as Utah, Idaho, California, and Alaska. I graduated from the University of Washington with a degree in History and promptly moved to Hawaii where I began leading adventure snorkeling and diving tours. I spend as much time as possible in the Southwest and the Rocky Mountains; climbing, hiking, motorcycling, and canyoneering. When I’m not leading tours I’m often traveling abroad in Southeast Asia, Nepal, India, and Western Europe.